As we all prepare to take a moment to gather with our families and express our thanks to God for all that we have received, we at The Alvarez Firm are doing the same. We are particularly thankful for our attorneys and staff, not only in who they are, and what they do at our firm, but for all they do in the community as well. Even after they leave our firm, they continue to serve and to give. In some cases, they leave so that they can even more fully serve! 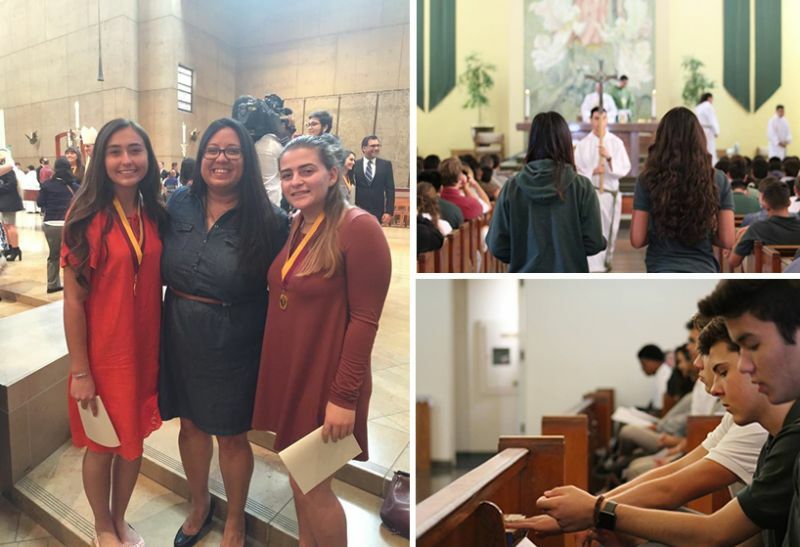 The combination of theology classes, school Masses, class retreats, the opportunity to practice their faith openly with their teachers and classmates is important for our students. This allows them [students] to live authentically Catholic lives without being made to hide their faith life while at school. When they are struggling we pray with and for them. As we all pause to give thanks, The Alvarez Firm wants to express its gratitude for all of our attorneys and staff, past and present, for who they are, and what they do, here and in service of our community.